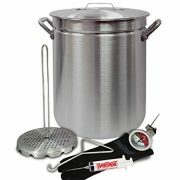 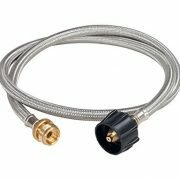 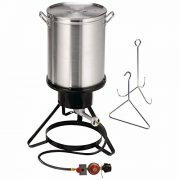 Perfect for Brewing, camping, fishing, outdoor cooking, emergency preparedness, etc. 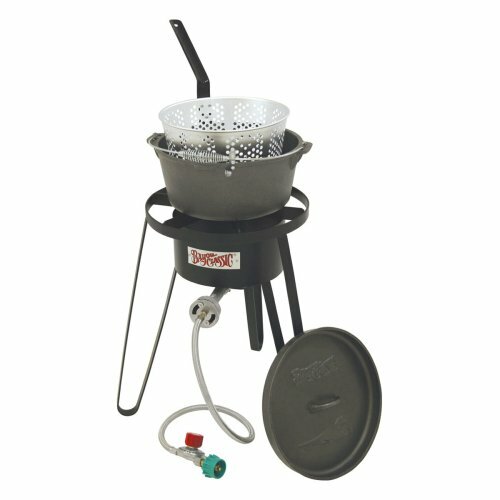 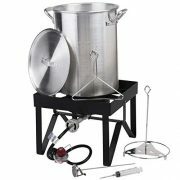 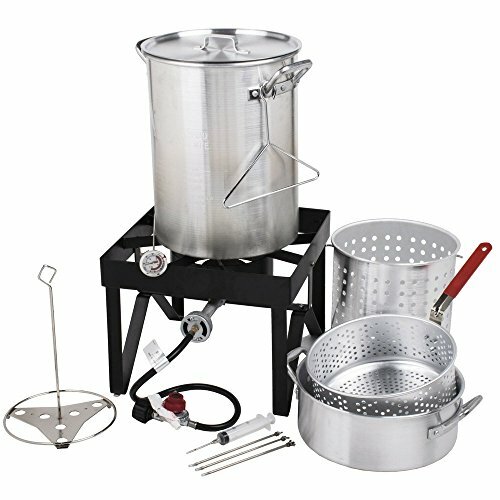 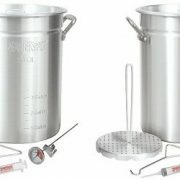 Stark turkey deep fryer pot and gas stove burner 6 piece set includes 30 quart pot, burner stand, regulator, temperature thermometer, hanger, and sauce syringe. 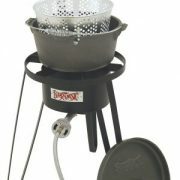 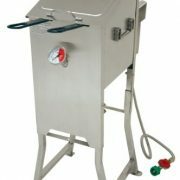 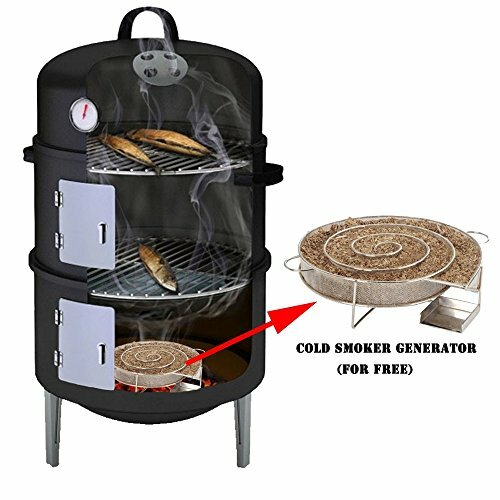 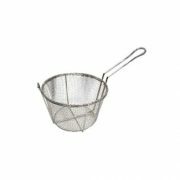 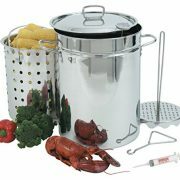 It is ideal for you and your family preparing Cajun sea food to turkey outdoor. 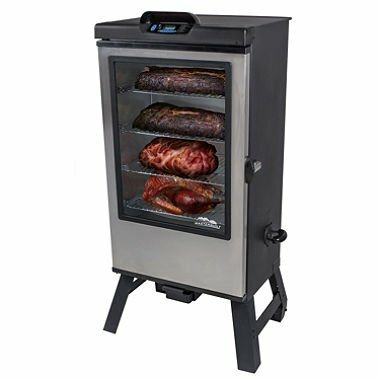 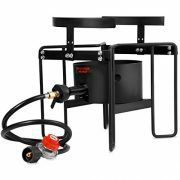 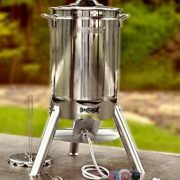 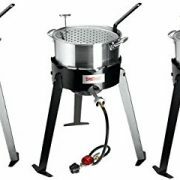 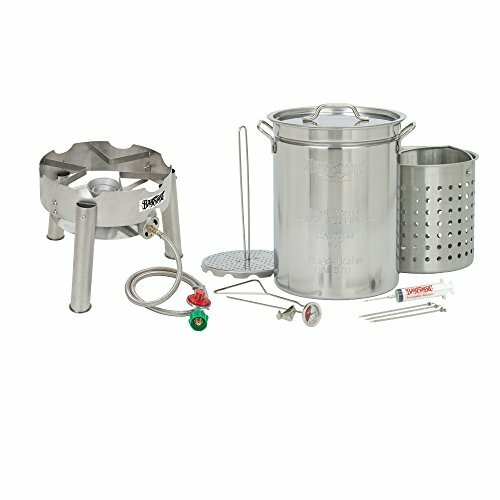 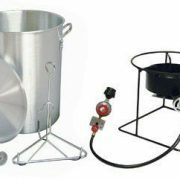 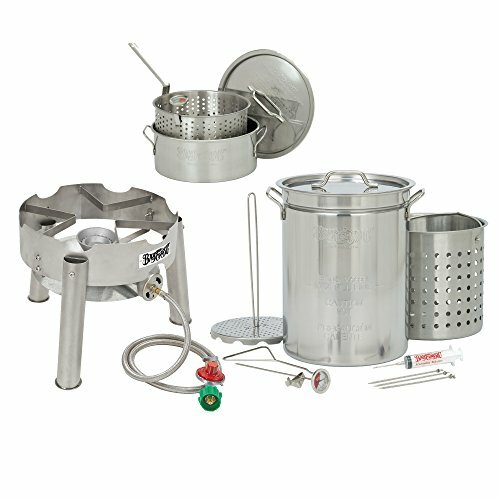 Turkey frying season is approaching and Bayou Classic introduces the ‘Grand gobbler’ Turkey Fryer kit for frying extra large turkeys, up to 25-lb. 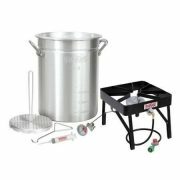 Bayou Classic Outdoor Turkey Fryer Kit – 30 qt.